Flava D presents her first official mix compilation release with FabricLive 88. Flava D has rapidly conquered the bass music world. Within a few short years, she has gone from anonymous beat-maker to instantly-recognizable headliner. Her sound is rooted in UK garage, and takes in its full spectrum - from sweetly-vocalled 2-step to heavy 4x4 bangers - with a tip of her trademark snapback cap to grime, too. 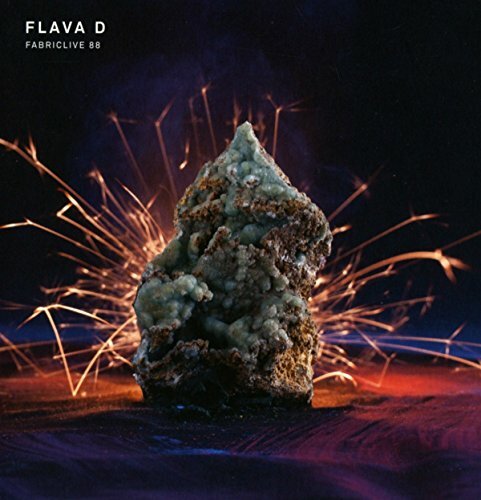 FabricLive 88 is packed with exclusives from the likes of Champion, Terror Danjah and of course, Flava D herself. Packaged in bespoke slipcase containing die-embossed tin. Features: Taiki Nulight, Riddim Commission,D Double E, Miss Fire, Majestic, DJ Q, Moksi, My Nu Leng, Swindle, DevelopMENT, Royal T & Deadbeat UK, Notion, Holy Goof, Stush & Sticky, Juicy Patty, Distro, Slick Don, TuffCulture and t q d.
If you have any questions about this product by Fabric, contact us by completing and submitting the form below. If you are looking for a specif part number, please include it with your message.